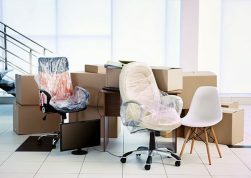 5 Reasons to Use Storage During A Move - MoveStar Inc.
Moving can be an exhausting and stressful time, not only for your body but for your mind. Where are your possessions? Did you wrap them carefully enough? Are they safe? Will they make the trip without being damaged and remain safe wherever you keep them until you’re ready to use them? When you’re moving, you may feel like you’re in a hurry to get everything done. From preparing your new residence to packing up your old one, everything is on a very tight timetable. It’s enough to leave anyone stressed. Using storage during your move allows you to take your time and know that your belongings are safe and secure while you attend to other priorities. 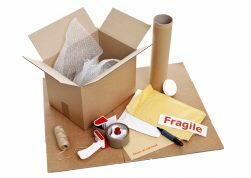 You may decide as you pack up one home and move into another that you really don’t like having your holiday decorations or keepsakes and mementos with you all the time, but that you don’t want to get rid of them either. Thankfully, having a storage solution allows for an easy compromise. You can keep all your belongings in your possession, without having them take up space in your residence. A win-win situation! It’s three in the morning on the night of your move – do you know where your heirloom items are? If you have them safely tucked away in a secure storage solution, the answer is yes. For many people, that is exactly why they choose storage during a move; it keeps their possessions safer and their minds more at ease. Want more info about storing your possessions and moving smarter? Contact the industry experts at MoveStar Inc. Our knowledgeable staff can help you with every step of the moving process – and keep your stuff and your sanity safe and sound the whole time!